The Content Marketing Institute and Association of Data-driven Marketing and Advertising (ADMA) have released the results of their third annual report on content marketing. The take-home message from the report is that it’s very important for marketers to document their content marketing strategy if they want to see improved results. 44% of those who have a documented content marketing strategy said their content marketing was effective, compared with 29% on average. 37% have a documented strategy, while 46% are using a verbal-only strategy. “These factors are critical for marketers. Marketers who document their strategy and follow it closely are more effective than those who do not,” Content Marketing Institute founder Joe Pulizzi says. 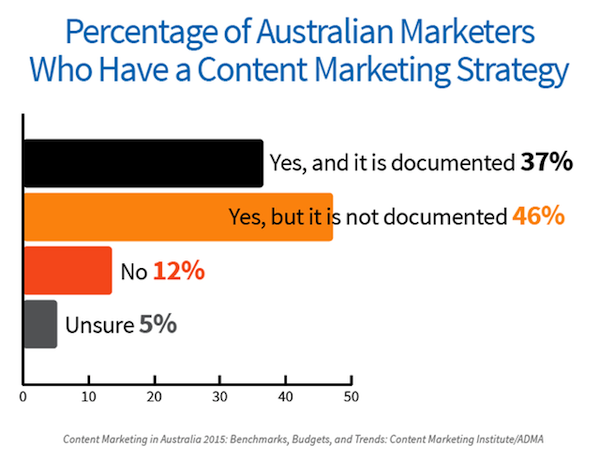 ‘Content Marketing in Australia 2015: Benchmarks, Budgets, and Trends’ shows the results of a survey of 251 for-profit marketers from both B2B and B2C organisations. allocates 36% of the total budget to content marketing (compared to 27% average). The average organisation spent 27% of its total marketing budget on content marketing. 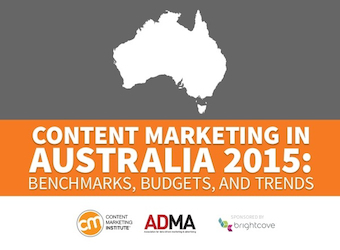 74% of Australian companies have created more or significantly more content over the last 12 months than previously. Although the majority are creating more content, some companies have slowed down since last year – in the 2013 study, 81% of respondents said they were creating more content than before. 49% of organisations publish new content daily or multiple times per week. 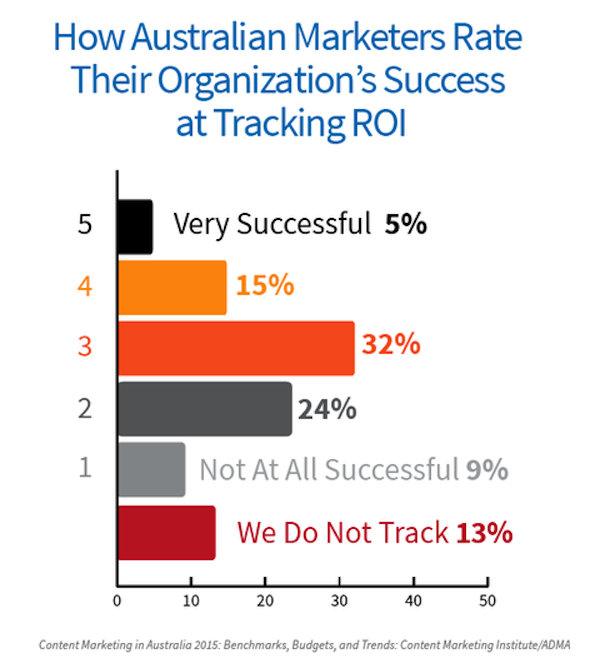 72% of the most effective Australian marketers follow this kind of regularity. Unsurprisingly, larger organisations are targeting more audiences than smaller organisations. Enterprise firms with more than 1000 employees target an average of five audiences, while the overall average is four. 45% of respondents said they targeted two to three different audiences. 39% of companies have a dedicated content marketing group. Responsibility for content marketing was most likely to fall under product marketing (25%) or business owners or C-level executives (23%). 20% of respondents rated their company’s efforts to track content marketing ROI as either successful or very successful. When it comes to tactics, more marketers are using in-person events than last year, while less are blogging. content discovery tools (16% use, 33% say it’s effective).